When you’re looking for a new space, having a budget is essential. As you check out potential locations it’s important to understand the not-so-obvious costs that may pop up as you transition to your new place. Just as we mentioned in our location blog, understanding parking is an essential part of running a business. Depending on the area you’re looking to move to, parking can be a lot more expensive than you initially thought. If a significant percentage of your employees are driving to work and parking, you may be able to make a deal with a nearby garage so your team has the resources to get to work easily. Before signing the dotted line on your new lease, you should understand every associated cost. You’ll be locked into this lease for an extended period of time, so it’s of the highest importance to know exactly what that means for you and your business. There will be a security deposit required which is typically 30% of your landlord’s out of pocket expenses, and additional fees for utilities not included, after-hours HVAC use, and possibly janitorial services. There may also be termination penalties if for any reason you were to break your lease earlier than expected. Different spaces call for different furniture, and what you have on hand may not always work in your new office. If you’re adding collaborative spaces or just expanding from your old office, it’s necessary to budget for any additional furniture you may need. Furniture can range anywhere from $15 to $25 per square foot, so It’s a good idea to take note of what furniture would translate to the new location and what pieces you would need to purchase. If you decide to use a moving company to get everything from Point A to Point B, you’ll want your items to be protected. Buying an insurance policy to cover the cost of all the items you’re bringing to your next space can save you a lot of hassle if anything were to get damaged or lost. While purchasing insurance may be a little more costly upfront, ensuring the protection of your assets will give you peace of mind during your move. There’s an expense associated with wiring your space, getting your data hooked up, and potentially getting a new phone system. Often times even when a landlord commits to turnkey a space, the cost to setting up the wiring may not be included. Phone and data wiring and set up fees start at around $2 per square foot and depending on factors like how many workstations you have, the types of ceilings you have, etc, it can go up to about $5 per square foot. Also, there can be a lag time from when you call to set up your internet service and when it actually commences. So be sure to start this process as early as possible. A discrepancy with your budget can push back your move and set you behind. Take the time to look into any extra costs that could come up, and budget for the unpredictable. This strategy will ensure that money will not inhibit your big move. Relocating and choosing a new office space is a lot of work, no matter the size of your company. However, it also provides an exciting opportunity to start fresh in a new space. Carefully consider the following points to ensure you get the most out of your move. Select a location that works for both clients and employees. You want a space which clients can find easily and employees can comfortably commute to – perhaps close to public transportation or with a parking lot if many clients and employees will drive to reach you. Consider where your key employees live and whether the space is convenient for them. Find a space that doesn’t stretch your finances too thin. Make sure to calculate the full cost of the space and consider any hidden costs carefully to make sure nothing sneaks up on you (parking, utilities, any necessary construction, taxes, phone & data set up, janitorial, new furniture, etc). Look for a space that will allow room for growth. 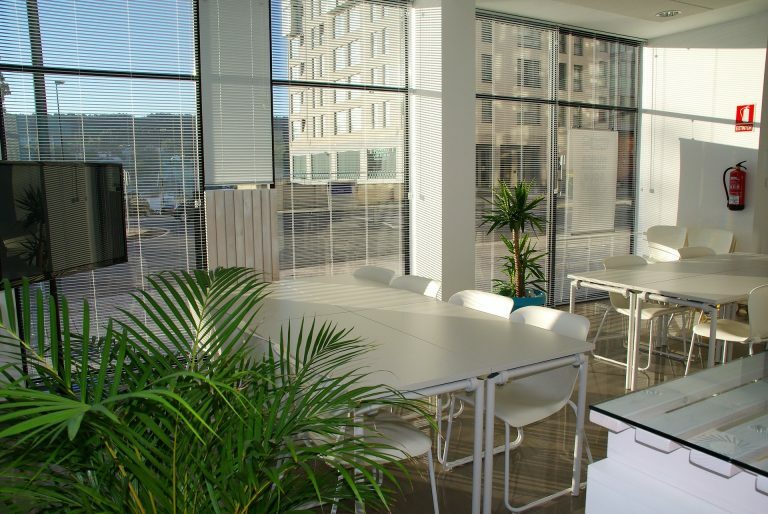 Opt for a space that could potentially accommodate a growing team or evolve with your business. Also, check that any new space has sufficient area to allow for breaks and group or client meetings. As you evaluate your options, look for a space with easy-to-use and secure IT systems, particularly if you need a reliable internet connection for your business to function properly. Understand and test the current technological infrastructure of each space you consider to ensure it can accommodate your business needs or if a potentially expensive build-out may be required. Think about what amenities you’d like your new space to offer employees. Sunshine can be a great easy perk as access to natural light can affect mood, energy levels and alertness. See if your new location has space for a stocked beverage center or coffee bar. Also, consider investing in employees’ health with an on-site fitness center or dedicated wellness room. Where you work matters. That’s why we’ve partnered with an online software platform to make it easy to search for spaces that are specific to your needs. All you need to do is enter your information here, and you will be given access to a database of office space listings complete with virtual tours, floor plans and all-in monthly prices. Finding the space of your dreams is only aclick away. Coworking spaces can be the perfect solution for a variety of working scenarios — from a solo entrepreneur just starting out to an executive from a large corporation seeking a change in scenery. Much like the businesses they serve, no two coworking spaces are the same. In fact, there are many aspects to consider when selecting a coworking space, including amenities, cost, location and clientele. When searching for a coworking space, look for one with an atmosphere that is conducive to your individual company’s productivity. Since there will be many people working in close proximity to your “office,” your employees could become distracted. Take a look around the space before signing a lease to see what other businesses are doing and whether or not their day-to-day work is too loud for you and your staff. The professional composition of the coworking office is another factor to consider, as networking can be a large benefit. A space full of professionals from different industries can expand a network fast, providing a budding business with new opportunities and ideas. Many coworking offices host happy hours, workshops and other events to build and foster relationships among tenants. The amenities a coworking space offers can really set it apart from the other options. While a brand new startup may be able to get by with a desk and laptop, a growing business needs additional technology, storage and multiple desks. 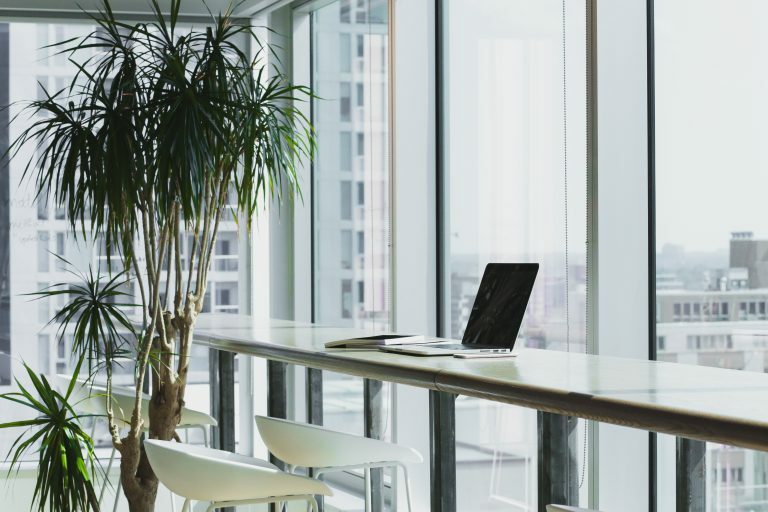 Young companies expand fast, so make sure the selected coworking space can accommodate a little growth until the business is ready to lease its own office. Additionally, the space should be able to meet the needs of the company, such as meeting rooms, private booths, printing and other professional necessities. Coworking spaces offer leases with much shorter terms than traditional office spaces, but that doesn’t mean you should rush in to sign. Request a day pass so you can ensure it will be a good fit. Pay attention to the amenities, the other tenants and what the space may be lacking to ensure it meets the needs of the business. This is the time to uncover potential problems, such as Wi-Fi reliability or overall space maintenance. Conducting thorough due diligence prior to signing a coworking lease is critical, as the office will play a large role on the productivity of a business. Create a list of what is essential to the company, and verify the space can meet those needs. Selecting a coworking office may seem like an easy decision, but it should be taken seriously, as it can either improve or harm productivity. The rapid growth of a startup causes changes to come quickly, which makes it challenging to find an office space that will grow with the business. When beginning the search, consider the projected growth, business plan and the needs of the company to find the best suitable space. Young companies experiencing hockey stick growth will quickly find themselves with an overcrowding issue, especially if they didn’t plan ahead during the search. Plan for an extra 10 – 20 percent of space to prevent overcrowding in the future. In doing so, you’ll save money by avoiding lease termination fees, as well as eliminate the hassle and expense of subleasing and seeking a larger space before the lease expires. Being able to grow within a building or a landlord’s portfolio is extremely important. 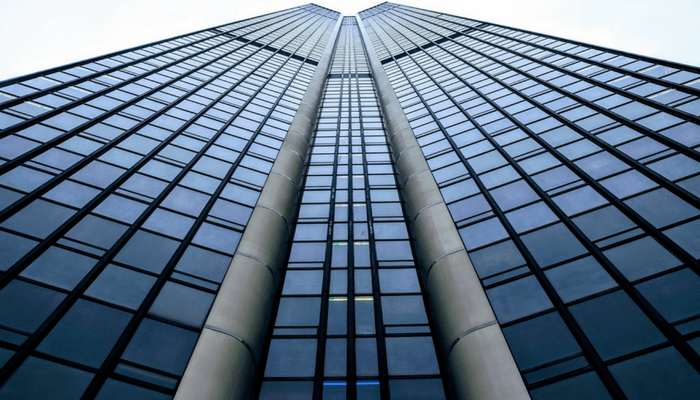 Seeking space in a smaller building, like the ones typically found in River North and River West, can be quite limiting, especially as many of those landlords only own one property. Leasing from a larger landlord, like the ones found in the Loop, provides a tremendous amount of flexibility when the time comes to expand. A larger building, or office portfolio, allows that landlord to easily relocate a growing tenant to accommodate their expanding space needs. Real estate will always be about location. When finding the right office for a startup, consider where it’s located in proximity to employees, current clients, potential clients and vendors. Remember that if the space is out of the way, it will make it difficult for prospective clients to find the business. Location also plays a role in employee retention and morale, as well as talent acquisition. When launching a new company, one important aspect is the cultivation of its culture and the office needs to reflect and reinforce it. A financial services startup may need a more structured environment with more private offices and sound proofing. Whereas a creative firm will want an office with more open spaces for collaboration. 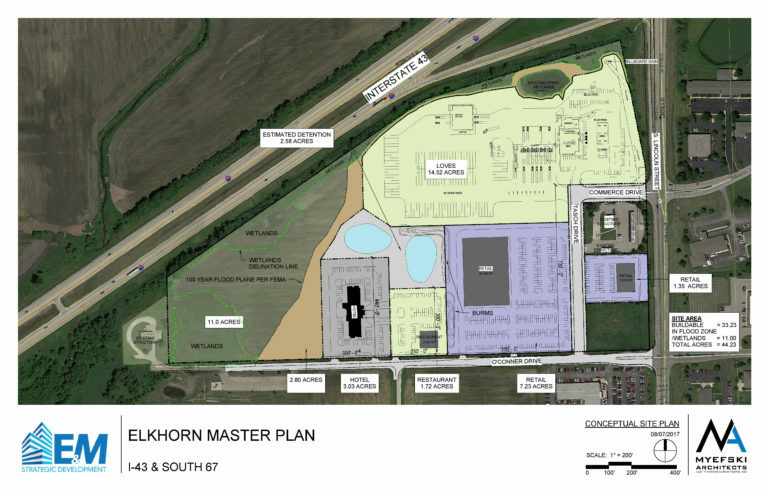 Additionally, confirm if the space will be able to accommodate the specific needs of an industry. For example, a company with heavy IT needs will want a space that is able to power and protect all of the equipment. Finding the right office for a startup will build a solid foundation for future growth and success. Remember that having an experienced commercial real estate broker involved from the beginning of the process will save both time and money. Tenant Advisory Group has worked with a variety of growing startups and is happy to share how they have successfully handled the needs of budding businesses. 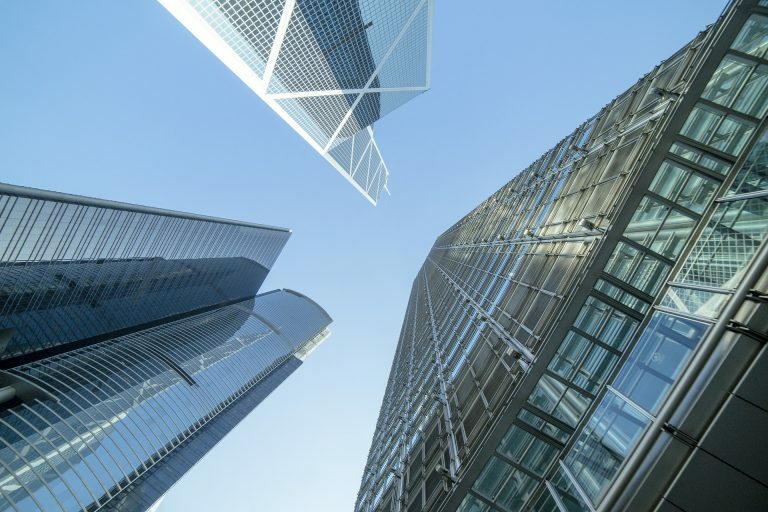 Negotiating the terms of a commercial real estate lease is difficult, as it is fraught with jargon, clauses and paperwork, and even the slightest misstep can have dire consequences for a business’s bottom line. Hiring the right real estate broker and attorney team to handle this delicate process is the best way to guarantee the most favorable terms while saving you time and money. Too often, a business owner will request help in negotiating lease terms from an attorney friend or a neighborhood real estate agent. However, these professionals may not be familiar with the industry-specific ins and outs of a commercial real estate lease. A dedicated real estate attorney/commercial broker team will review the terms of the lease with expert eyes, navigating the provisions and clauses to establish the final document. Real estate is a hyper-local specialty, meaning an experienced commercial real estate attorney/broker team is going to have market knowledge regarding tenant improvement allowance and rent abatement. The team will understand where to push back and what is fair for the market. This will result in a far less contentious negotiation, establishing a good rapport with the landlord from the beginning. There are many ways to “get more” out of your lease, and only professionals working in the industry would even know to ask. For example, the lease renewal clause is a point of concession that can greatly benefit your lease terms down the line. A commercial real estate attorney/broker team will work together to create a plan that will include more than simply lower rental costs. When working with Tenant Advisory Group, we have access to a deep bench of quality connections, including top-tier real estate attorneys to help achieve the best results possible. Chicago is the third largest city in the United States, which means there is a deep pool of potential medical spaces to fit just about any practice. Prior to beginning the search for new space, many of our health care clients are interested to know what exactly is involved in the process. Through our experience we’ve assembled a list of the most important steps involved along with tips and tricks we think will help these doctors. Aim for a minimum of nine months before you’re ready to lease or purchase a space. Keep in mind that at least six months worth of time is essential to account for site selection, business term negotiations, attorney review, architectural design, permitting and any interior construction or design work to fit your specific medical office needs. A tenant representative will start with a survey of the market to deliver relevant property options that fit your specifications in terms of a budget, location, type, size and quality of a space. In addition to the standard software that all CRE firms use, Tenant Advisory Group has established a network of resources to efficiently uncover both newly on- and off-market listings that will increase the quality of your search. Assuming a budget of a certain amount per month, desired medical office size, building class and neighborhood proximity to transportation are all variables that can be adjusted to stay within your means. After you’ve selected a list of properties of interest, a tenant representative will organize tours of all potential buildings, helping to guide you through considering all the logistical factors involved with each space. One great way to get the most out of your dollar is to consider reducing both the number of private offices and reducing the size of the exam rooms to reduce the square foot per capita. 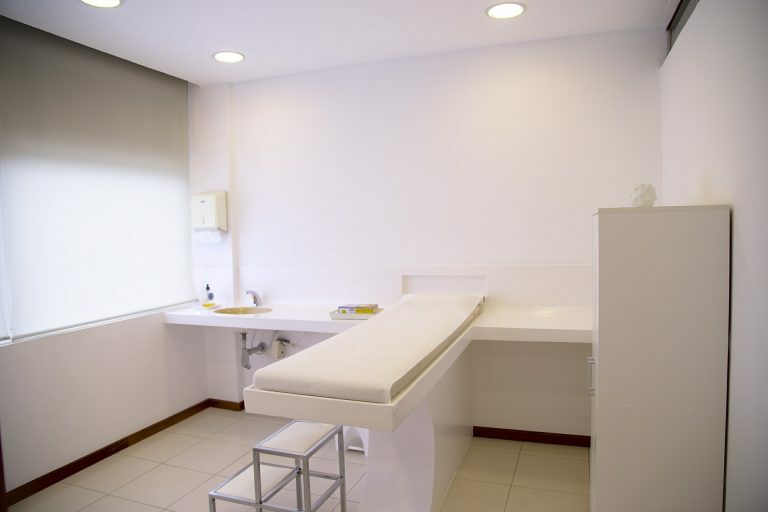 However, if individual offices and larger exam rooms work better for your type of practice, and you are not looking to compromise on size, then shifting from a Class A to a Class B building can still maintain relative quality building finishes with amenities while substantially reducing rental rates. Once the list is narrowed down to a handful of properties that seem like a potential fit, the next step is to submit RFPs that seek to achieve all of your goals, both financial and in terms of space quality and layout. Even if you’ve chosen one property for your top choice, seeking proposals from multiple properties will provide you with market comparables to facilitate more negotiating leverage. In addition to appropriate rental rates, a tenant representative broker will understand terms and be an advocate for you to achieve fair market concession packages such as rent abatement; tenant improvement allowances; escalations; securitizations; rights to expand or renew; and termination rights. Working with a tenant representative who possesses a deep knowledge of fair market values will be indispensable to this process and overall cost savings. Upon receiving proposals, a broker will run analyses to outlay the financial impact of the Landlord’s response and will submit counters to advance the negotiations toward your goals until acceptable business terms are agreed upon. 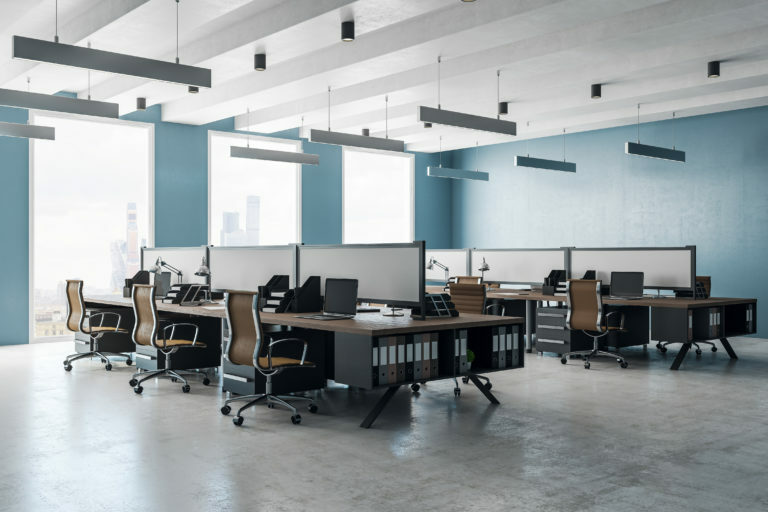 If there is a need for a build out, this will also be the time that a tenant representative will coordinate efforts of an architect to design the space to your specifications. A space planner might be provided from the building, particularly if they will turnkey the work, or an independent architect may be involved. One thing to keep in mind during the negotiation process is to organize your paperwork. Prior to signing a Letter of Intent with a particular property, the landlord is most likely going to require you to show them financial statements and/or the last two years of your tax returns to be assured that you will be able to pay your rent in a timely and stable manner. Once both sides have come to agreement on the key business terms, a tenant representative will coordinate the attorney review process. The will work alongside your attorney to ensure the legal language reflects the negotiated terms. If your practice does not have an attorney you use that specializes in real estate, Tenant Advisory Group is available as a referral source to qualified and affordable real estate attorneys. Upon lease signing, Tenant Advisory Group will continue to assist with coordinating walk-throughs of the space for meetings with the architect and contractor bidding. We will be there to track progress against the project completion dates to make sure everything and everyone is moving forward efficiently. Tenant Advisory Group is also available to make introductions to quality furniture vendors, movers, phone & data brokers, IT vendors, insurance brokers, and other ancillary professionals to help facilitate the process. The tenant does not pay any commission for the brokerage services they receive. The services are paid by the landlord. Even if the tenant negotiates direct, the landlord still pays a commission to its in-house brokers. Shouldn’t you have an experienced advocate on your side, too? 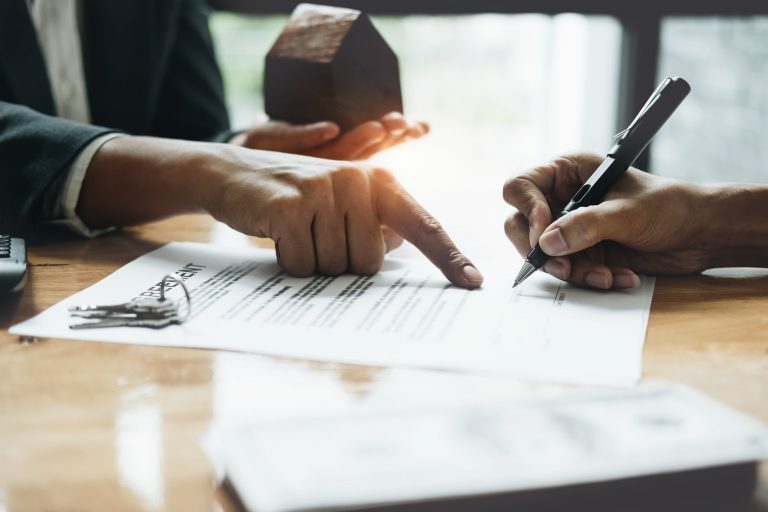 An attorney can negotiate legal terms, but typically does not have sufficient micro-knowledge of the changing local real estate market conditions to ensure you receive favorable business terms. Tenant Advisory Group has established a network of trustworthy, qualified and affordable real estate-adjacent professionals to incorporate into the transaction, in order to fully service all of our client’s needs. Tenant Advisory Group is committed to bringing best-in-class commercial real estate services to every end user, and proudly saves our clients an average of $15,000 per person on leasing costs and over 20% on purchases. 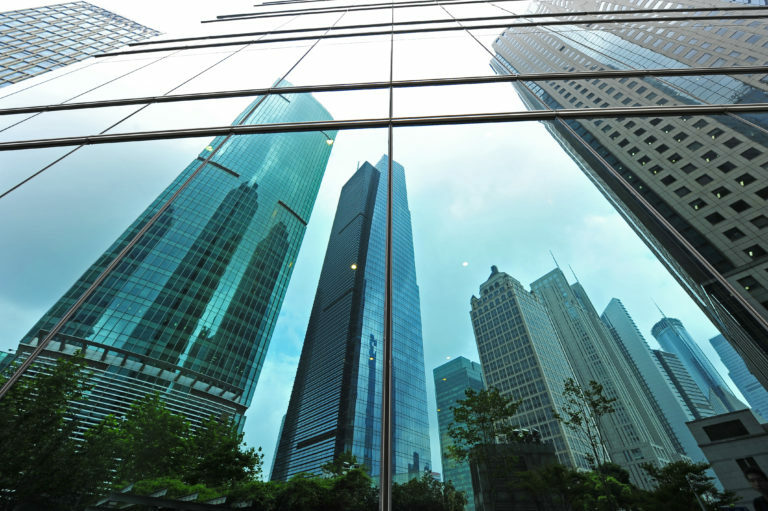 The landlord is an integral part of the commercial real estate leasing experience, which is why this person or entity needs to factor into any final decisions. A lot can be revealed about a landlord by the way they handle the negotiation process, as this is a window into how they treat existing tenants. For example, someone who tries to use bait-and-switch tactics isn’t going to change once you become a legally-bound renter! An easy way to tell a good landlord from a bad one is to identify if they value quality tenants over maximized profits. Good landlords are transparent and responsive, especially when they want you as a tenant. Ideally, a future landlord will stay in communication regardless of the situation, providing explanations for any lapses in response. Remember, there are most likely other deals in process that may prevent you from winning the space. However, a worthwhile leasing professional will work with a prospective renter to find a different available space. When a landlord has a large amount of money to negotiate with, they are referred to as “well-capitalized.” There are a variety of reasons why a landlord is flush with capital, such as a recently refinanced building, or having a REIT or sovereign wealth fund as owners. Regardless of the source of funding, this means they are able to offer larger concessions in the form of free rent or tenant improvement allowances. In addition to incentive packages, well-capitalized landlords are able to invest more money back into improving the building. Independently-owned operators typically don’t have access to the large amount of funds needed to pay for a tenant’s buildout or even fix ongoing problems properly or in a timely manner. Tenant Representatives are generally well liked by successful landlords as they work with all parties involved to ensure terms are met, stipulations are understood and proper channels are followed. 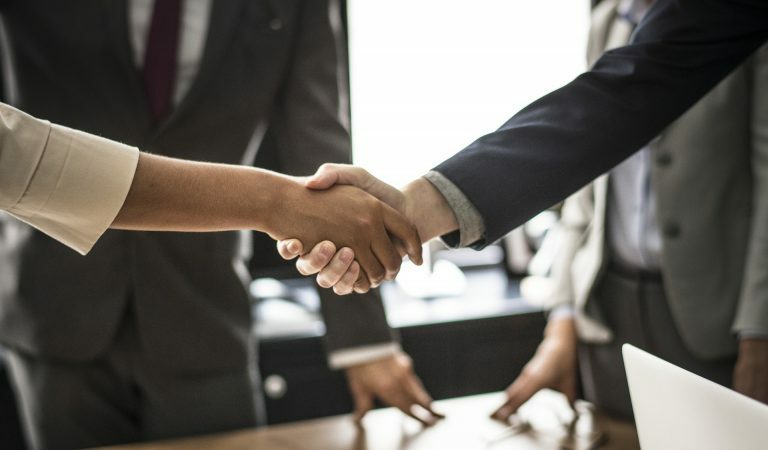 The quality of business a tenant representative brings to the table – high-quality ancillary professionals – often encourages landlords to make more concessions on a deal with either a current or new tenant. However, short-sighted landlords can become concerned about paying a broker to renew a tenant or acquire new business. These owners don’t take into account the long-term benefits, rather than the short-term costs. It demonstrates a potential unwillingness to pay to keep the building in good shape, repair the elevator or HVAC or clean the windows and building. If a landlord pinches pennies now, they will surely react poorly down the road when something doesn’t go their way. The lowest price option is not always the best choice, as it commonly comes with a lack of amenities, service, upkeep and concessions. While lower rent is attractive, there is much more value derived from concession packages. Additionally, if a business uses its own money for a buildout then they won’t have that capital available to invest in the business, making it a very costly way to use available funds. Landlords gain a lot of value when they sign new tenants or retain existing ones, especially if the building is up for sale, and good landlords know a broker can help them do exactly that to increase the value of their building.